Finally built in 2011 the Peace Bridge opened on the 25th June. The reason for the bridge was to bring the two communities closer and to live in peace. Not your standard straight bridge but a bridge with several bends and seats to rest. It is also the newest of the three bridges in the city. The Free Derry Wall is a historical landmark in the Bogside neighbourhood of Derry. In January 1969 a local activist, who might have been Liam Hillen. Allegedly painted graffiti on a gable wall at the end of a housing terrace stating, “You are now entering Free Derry”. 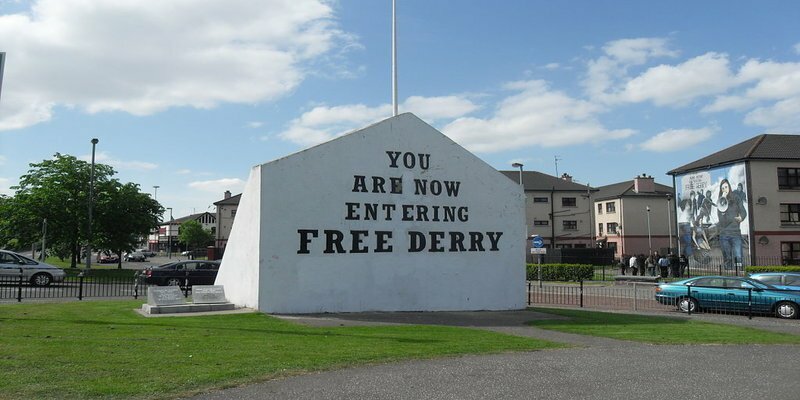 In August 1969, the “Free Derry” wall was painted white and the “You are now entering Free Derry” was painted instead. The area in front of the wall became known as Free Derry Corner by the inhabitants. In the walled city of Derry is the mother church of the Church of Ireland, Diocese of Derry and Raphoe and the parish church of Templemore. This Church is in memory to Saint Columba, an Irish monk who established a christian settlement in the area. 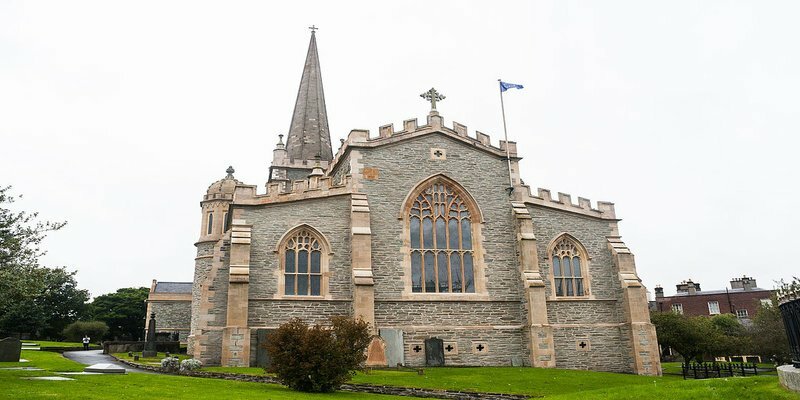 St. Columb’s has in its possession many documents dating back from the Siege of Derry. The Cathedral has in its possession many portraits of William of Orange and the original keys of the city. 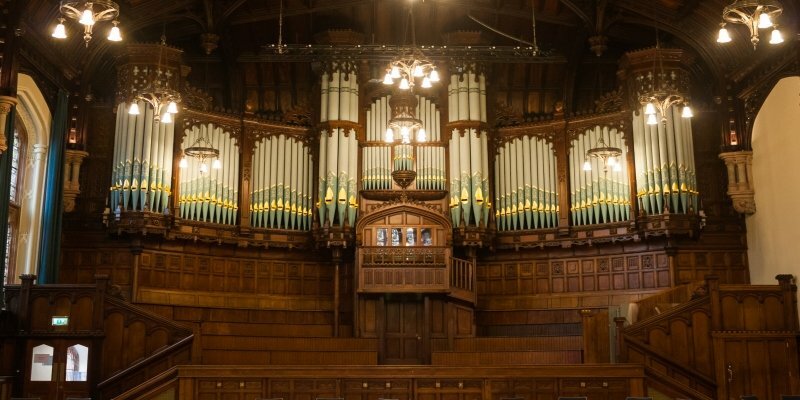 The hall was opened in 1877, dedicated to the memory of the thirteen apprentice boys who closed the city gates in 1688 against Catholic forces. The hall is an architecturally important building within the walled city. It now houses the headquarters of the association, with its office and debating chamber it also houses a social club and a museum. 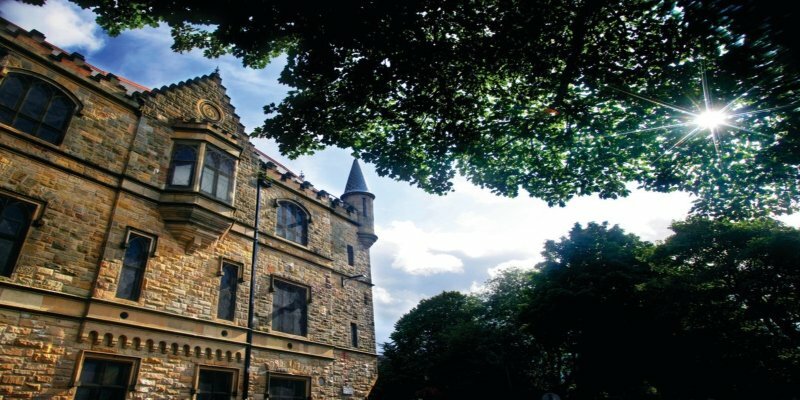 The Tower Museum is a museum on local history in Derry. 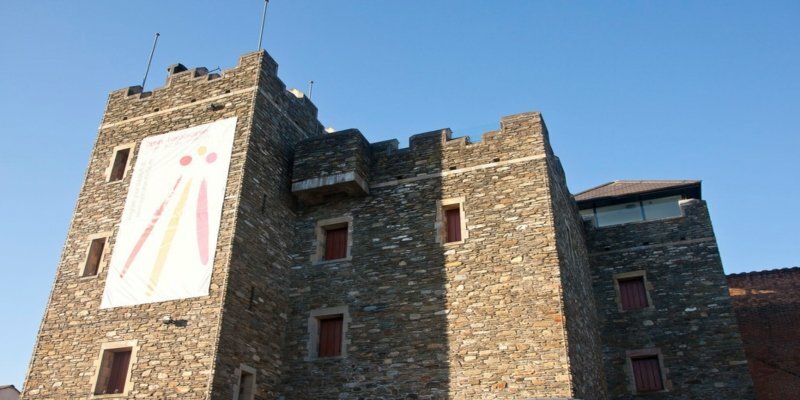 The museum is located in Union Hall Place, within a historic tower just inside the city walls, near the Guildhall. 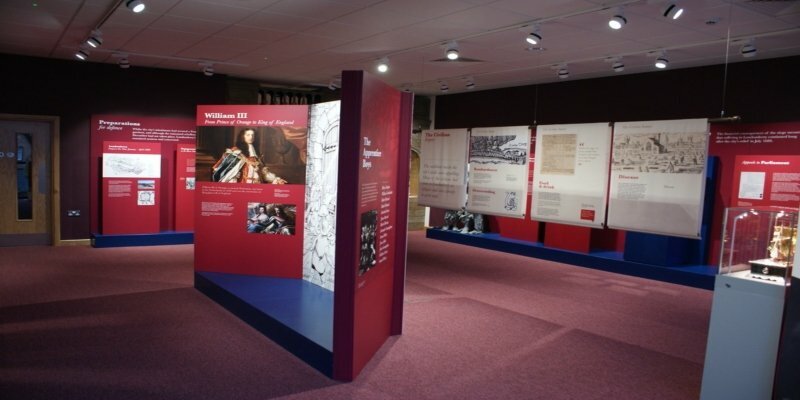 It presents the history of Derry and also has an exhibit on a local shipwreck from the Spanish Armada. The museum opened in 1992 and has won a number of awards. It also covers the political conflict that has affected the history of the city. 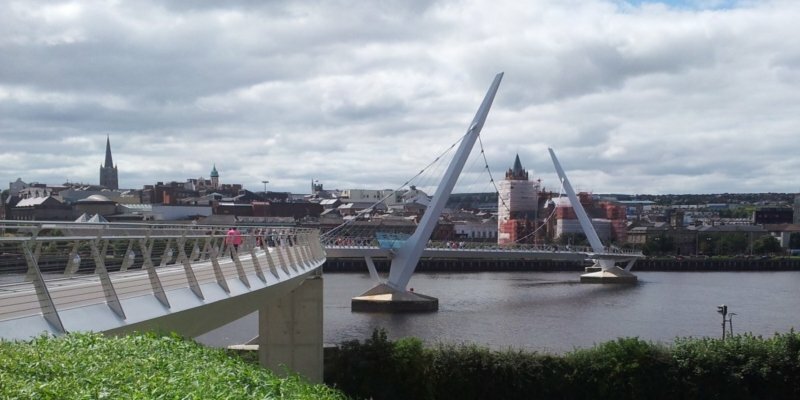 Enjoy a fascinating guided tour along the walls of the city and listen to the old and the new history of Derry. 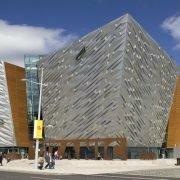 Derry has become a cosmopolitan and vibrant city. You will hear some of the most interesting stories regarding the troubles and the political struggles. 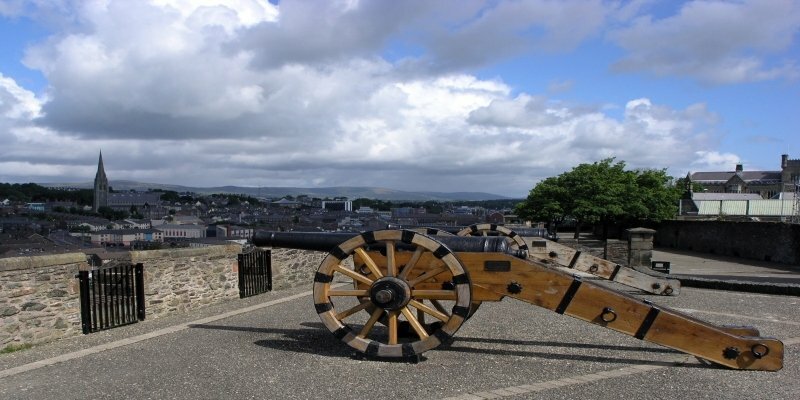 The Siege of Londonderry in 1689 is one of the landmark events in British and Irish history. An event of such importance that its outcome has shaped and continues to shape the history of both Britain and Ireland. 105 days 30,000 Protestant people held the walled city of Londonderry in the face of the Catholic King James II. They held it until the relief fleet broke across the River Foyle and the Jacobite forces commenced their retreat on August 1st, 1689. Inside the museum is a fascinating history of those days. 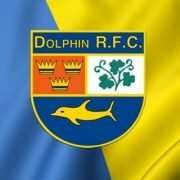 Well worth a visit to get a feel of what it was like for both sides of the community at that period of time. Derry’s original 17th-century Guildhall was located in the Diamond area of the Walled City. Its name reflected the status of Londonderry as being founded by the City & Guilds of London. 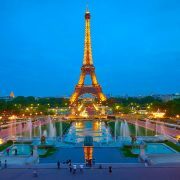 The Building has been subjected to fire and terror attacks over the years but still remains a focal point in the city. Originally named Victoria Hall this was discovered due to the fact it was engraved on some foundation stones found during restoration works. It was badly damaged by fire in Easter 1908 with only the clock tower surviving the fire intact. The whole building was re-built and renovated after the fire and re-opened in 1912. 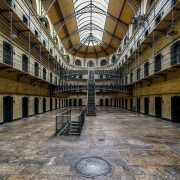 Furthermore during the troubles, the building was subjected to terror attacks. 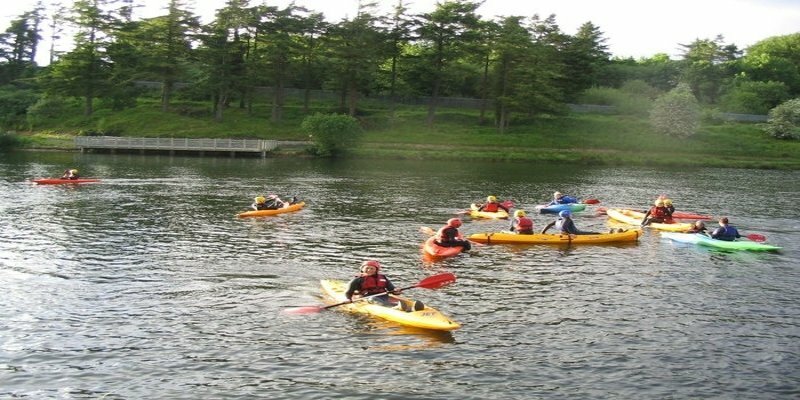 Enjoy a day out at Creggan Country Park for a wide range of outdoor activities, from orienteering to kayaking. 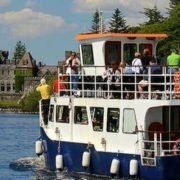 The instructors will be able to go through all the basics with you if you are a beginner or novice, you’re in safe hands. For those who would like a bit more action, paint balling is available, all the boys will love that. Bring an old-fashioned picnic with you and enjoy the delightful countryside around you.